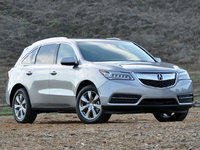 CarGurus has 649 nationwide RLX listings starting at $12,999. 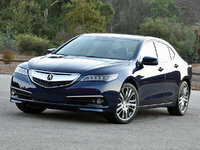 For a couple of years now, Acura’s posh RLX has been the flagship sedan of this high-end Honda subsidiary. A well-wrought 5-passenger full-size 4-door, which is already in dealer showrooms across the nation, the RLX gets a few upgrades for the upcoming model year, including the brand new AcuraWatch safety and driver assistance technology. The former base RLX and its RLX with Navigation sibling, furthermore, are officially defunct for 2016. The trim lineup now includes the RLX with Technology Package and the RLX with Advance Package. 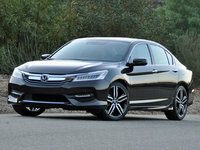 Depending on the trim selected, enhancements for 2016 include the aforementioned AcuraWatch feature, a new around-view camera system, noise- and vibration-reducing upgrades, refined ride and comfort components (including touring-oriented rear shocks and springs), and an optional Slate Silver Metallic exterior color. Although it’s long been touted as spacious and plush, the 2016 RLX offers a dearth of headroom for rear passengers, while the rear seatbacks don’t fold flat, thus what you see of the 15.3 cubic feet of trunk space is what you get. However, long, slender items, like skis, can be packed inside using the rear center pass-through feature. Again powering both trims is the capable 3.5-liter V6 engine that mates with a standard 6-speed shiftable automatic transmission managing 310 hp and 272 lb-ft of torque. Look for estimated mileage, meantime, to return at 20 mpg city/31 highway/24 combined from the front-wheel-drive-only (FWD) trims. Standard appearance features aboard the 2016 RLX include 19-inch alloy wheels, a power sunroof, and heated reverse-tilt power mirrors. Cabin adornments include leather upholstery, heated power-adjustable front seats, full power accessories, cruise control, and telescoping tilt-wheel steering. Additionally, tri-zone automatic climate control returns standard, as do niceties such as a remote garage door opener, a backup camera, memory for driver's settings, and an auto-dimming rear-view mirror. Techno-wise, all 2016 RLX trims come with standard GPS navigation and AcuraLink infotainment bolstered by an 8-inch touchscreen and Bluetooth hands-free communications functions. Entertainment, meanwhile, returns via a 404-watt ELS premium audio system boasting 10 Surround Sound speakers, satellite radio, and auxiliary audio input. The top-shelf RLX Advance, meanwhile, additionally boasts auto-dimming exterior mirrors, ventilated front seats, the new around-view camera system, remote engine start, heated rear seats, and a heated steering wheel. Despite rumors that the RLX with Krell Audio Package is no longer offered as a separate trim, this premium 14-speaker entertainment system remains a noteworthy option that’s offered lineup-wide. Finally, standard safety equipment returning to the 2016 RLX stable includes 4-wheel antilock brakes (ABS), traction and stability control, front side-mounted airbags, front and rear head airbags, daytime running lights, turn-signal-integrated mirrors, LED headlights, and a remote antitheft alarm. Meanwhile, the debuting AcuraWatch safety system comes standard in both trims and includes upgraded blind-spot alerts, lane-keeping assistance, forward-collision warning, and adaptive cruise control, as well as a road-departure mitigation function. These tweaks to the 2016 RLX are admittedly an effort to bolster this princely yet underappreciated luxury liner’s less-than-stellar sales numbers. 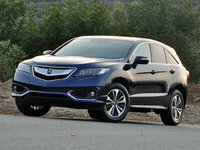 Owner reviews of previous RLX iterations, furthermore, are divided between unadulterated praise and concerns about reliability. In any case, Acura wants the latest edition of its brand-topping 4-door to do a bit better against the likes of Audi’s traditionally awesome A6, Lincoln’s lithesome MKS, and Hyundai’s head-turning Genesis. 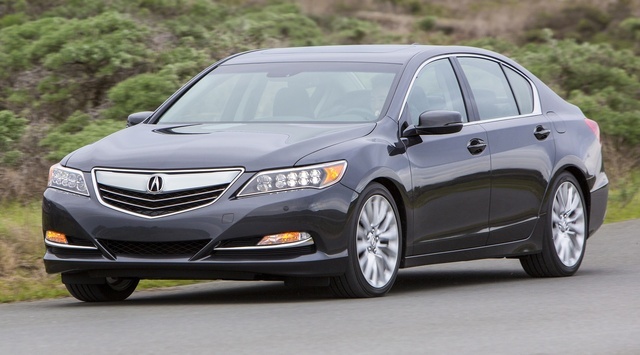 What's your take on the 2016 Acura RLX? TheHorror Acura's own TLX looks very similar, is nearly as large, and with the V6, offers nearly as much power. Most importantly, it does so for $10k less. There is no excuse for a car that is merely mediocre, when it begins at $50k. It looks even worse for the RLX when you start to consider the competition from other manufacturers. Have you driven a 2016 Acura RLX? The seller advertised car which already sold!!! How can I not waste my time?